Foreign Affairs Minister John Baird has announced new sanctions against Iran, including a total ban on imports and exports. "Canada continues to have grave and sincere concerns over Iran's nuclear program and their abhorrent human rights records and their continued support for international terrorism around the world," Foreign Affairs Minister John Baird said Wednesday when he announced the measures in the foyer of the House of Commons. 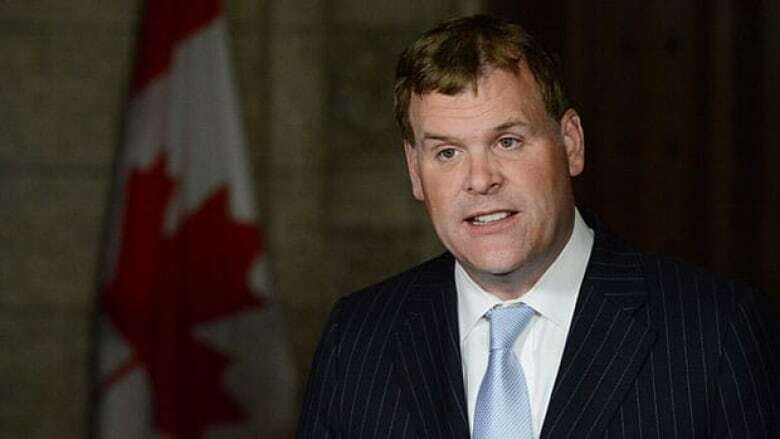 Baird said that in round after round of international talks, Iran has failed to engage meaningfully while the risk posed by its nuclear activities increases. The Iranian government has offered only "false promises and empty gestures," Baird said. "Today we are compelled to take further actions against this reckless and irresponsible regime," he said. Thirty people and 82 new entities have now been added to the list, all believed to be involved directly or indirectly with facilitating, supporting or funding Iran's nuclear proliferation activities, the foreign affairs minister said. The last time Baird announced sanctions against Iran was in December when certain kinds of imports and exports were prohibited including oil, natural gas and mining materials. The ban on imports and exports announced Wednesday does include exemptions for food, medicine, medical equipment and other humanitarian goods and for some communications tools. "Canada's new sanctions include exemptions for technologies that protect Iranians online and help them break through the regime's curtain of propaganda," the government's statement said. Canada’s sanctions exempt food, medicine, medical equipment, and humanitarian goods to ensure that—if the regime decides to invest in the basic needs of the Iranian people—international obstacles are reduced. "Canada like many of our closest allies is taking every possible effort to halt Iran's reckless pursuit of nuclear weapons capabilities," he said Wednesday. Last week The Associated Press carried a story on a report by the UN atomic agency detailing rapid Iranian progress in two programs that the West fears are geared toward making nuclear weapons. In the confidential report obtained by the AP, the International Atomic Energy Agency said Tehran had installed close to 700 high-tech centrifuges used for uranium enrichment, which can produce the core of nuclear weapons. It also said Tehran had added hundreds of older-generation machines at its main enrichment site to bring the total number to over 13,000. Iran denies that either its enrichment program or the reactor will be used to make nuclear arms.